50 Shades of Cabernet. She contributed "Keep Your Friends Close" to Deadly Southern Charm: A Lethal Ladies Mystery Anthology, published in April 2019. 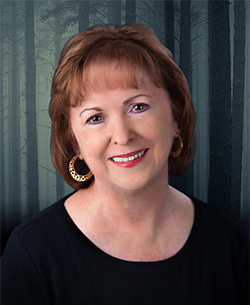 Murder at the Book Group and Murder at the Moonshine Inn are her two novels in the Hazel Rose Book Group Mysteries. Maggie is a member of Sisters in Crime, James River Writers, and the American Association of University Women. She has worked as a software developer, retail sales manager, and customer service supervisor. Maggie graduated from Elizabeth Seton College and earned a B.S. degree in Business Administration from Rochester Institute of Technology. She has called New Jersey, Massachusetts, and California home. These days she lives in Richmond, Virginia, with her husband, Glen, and cats Morris and Olive. She gets her best writing ideas on her daily walks. Visit her website at www.MaggieKing.com.